Enjoy festive favourites, big band swing, '80s music and a special Hari Raya presentation that brings back the good ol’ days of kebaya jazz with this dynamic symphonic wind band! 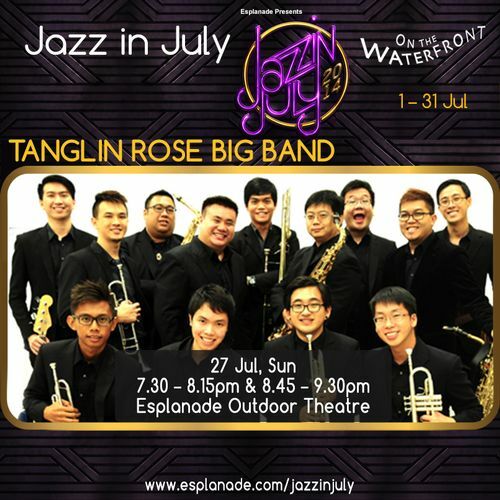 Tanglin Rose Big Band is made up of professional-level classical horn players, featuring soloists in each horn section, and an all jazz rhythm section line-up. New to their repertoire are top 40 hits from the '80s by the likes of Stevie Wonder and Earth, Wind & Fire.